That “Free Will” is not free of society was made clear in Europe with the example of fascism (German, Soviet, Italian, Spanish, in historical order, not to mention Slavs and Balkans…). Various nationalistic crazes and pogrom like activities have shown the natural tendencies of entire peoples to behave like nasty robotic mass-homicidal torturing monsters. Europe was founded and named, by the Franks. The Frankish government, in antique Roman Republican style, “renovated” by its good offices, was tolerant of all superstitions, including Catholicism, Paganism, Atheism, Judaism, and even Islamism. However, coincident to and related with, the rise of extravagant Middle-Ages plutocracy, society became much less tolerant. The trigger was the First Crusade. In 1099 CE, Jews were mass massacred, in Alsace and further east, when herds of violent Catholics, full of enraged fervor. migrated east to take back Jerusalem. The grand conclusion of this experience in hatred was revealed to the world by American Army generals in 1945, when the horror of extermination camps was revealed (the logical chain of Jew hatred went from burning all Cathars to Saint Louis, to Luther). In those Nazi camps around 22 million people were assassinated, according to the latest estimates (11 million killed for racist reasons, including 6 million Jews, plus 3.3 million Russian army prisoners, etc…). Thus, after World War Two, social engineering in many European countries repaired the society to cure the individuals. It seems to have worked: the probability of being victim of a very serious crime, or being incarcerated, is an order of magnitude (a factor of ten) lower in Western Europe, than in the USA. That knowledge causes crime is the argument the partisans of obsolete moral systems always use. In a trivial, self-referencing way, they are right: if one defines crime as what the old moral system forbids, the change of moral systems will always cause crime. Having women starting to drive in Saudi Arabia would not doubt augment the crime rate. However, human beings are knowledge and wisdom machines. Once they know what influences them, they take it into account. Why? Human beings have long known that what’s in their heads is not necessarily what is out there. All hunters know that what appear is not necessarily what there is. They did not have to wait one million years for Nietzsche to tell them that. Superiorly differentiating distortions in information and the nature of reality, is what make a better predators, hence a more successful human being, or group. Saying that “Free Will does not exist” is not really what is going on. Much of what looks like “free” is actually a product of the group. Free Will arises from “Meta Will” what J-J. Rousseau called the “General Will”. The “General Will” will be hard to define: after all, it’s a mathematical notion going beyond our present computational capabilities (a typical case where Quantum Computing will help). Any social thinking, where part of the Meta Will lays, is tainted in the USA by the background of the American police and justice systems, with its incarceration rate more than five times the world average (and much more if one takes into account all those under judicial surveillance, a category developed more in the USA than anywhere else). The more we know, the more we can act upon the world, and thus the more freedom we have. However freedom is not what plutocrats want to see average people enjoy. Plutocrats go according to their namesake, Pluto, Satan. 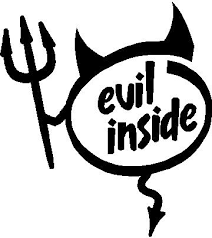 Demons in hell do not want to see those they are supposed to torture, enjoying freedom, or enjoying anything at all. Yet, it’s the other way. Overall, on a civilizational scale, knowledge augments not just power, but morality. The more we know, the more we know when we are not acting for the best, the more we can accuse ourselves of not acting well. And thus, the greater the opportunity we have to act well, and the better we will act. We have a moral system which is evolutionary given (evolution being the Creator we had been looking for!). This natural Human Ethology interacts both with the Meta Will and individual Free Will. However, in the USA the Plutocratic mentality is triumphant (latest GDP growth at an annual rate of 5%, not far behind plutocratic China). In this social paradigm, the Randian worship of the rugged individual is celebrated. People have to work, not by choice, as in Europe, but just to survive. To justify itself, the Plutocratic mentality reveres Free Will. According to this system of thought and mood, all and any success is attributed to immanent justice, a just universe, which rewards character, ability and effort. Sociological studies have proven this. The tension between Free Will and General Will, is that between Evil and Our Good Lord. It’s a debate, one side can’t think, let alone talk, without the other. Obama has understood this, just enough to make do. We all have to travel the same road. Our General Will, right now, is called CO2. It will be a heavy cross. Look at the bright side, as Jesus, or Camus, would say. To be able to smile, and it means something, we have to know how to snarl. Systems of thought arise from individual wills to create what Jean-Jacques Rousseau introduced, and named the “General Will”. In the last 150 years or so, it has become increasingly clear that the notion of “Free Will” was in turn highly dependent upon other notions, including “General Will”. I prefer the expression “Meta Will” (which is even more general). Whenever an action is taken, it turns out to be dependent of some context, often cultural, or some preparation, often neurological, or some ulterior motives, often self-aggrandizing. In other words, free will is never free of contingence. So what? This just show that the expression “Free Will” depicts the wrong semantics. After all, we are not free to stop breathing. In theory, yes. In practice, it is impossible, except if we carefully prepare a mechanism that will take over (a lot of sleeping pills, or a noose). The problem of suffocation suggests that, if we want to be more free (for example free to stop breathing), we have to make the environment take over. Thus Free Will has to operate not just on “us”, but on the environment which controls us. This is why philosophers’ Free Will have led them to the desert, since times immemorial. In the desert, they are more free to think. Quantum Physics helps here. It is non-local. Actually some physicists are in the process to make really sure of that, by running entanglement experiments with haphazard impulses coming from the opposite sides of the universe. Intriguingly, if the experiment turns out as expected, this variant of the famed Einstein-Podolski-Rosen Thought Experiment will show that local Free Will cannot exist. But, once again, so what? Free Will is obsolete, Meta Will is what one can help to free, by controlling more the contexts we think in. The soul is most probably some sort of large scale Quantum effect. How do Quantum processes work? They extract solutions from geometry, or, more generally, form. Non-local geometry, and non-local form. Thus, if we want to achieve soul control, we need to achieve geometrical and topological control on our environment. And this starts by being conscious that those control our outcomes. Thus, instead of just talking about our morality, we have to start talking about the environment in which it is supposed to blossom, as the later will control the former. Thus individual responsibility shifts more to social contexts. And therefore, the systems of thoughts which support social structures are the agents most responsible. This is where much of Free Will is hiding. Let me give an example: Germans behaved deplorably for generations, more than people of other nations (that is more than the Italians, French, British, American, etc.). This nasty robotic aspect of German mentality allowed dictators to make the German armies behave in atrocious ways for generations (differently from the armies of the nations quoted above, which did not engage in systematic war crimes). That unfortunate character of the German soul killed 22 million in extermination camps alone, due to the fascist, robotic nature of the dictatorships (the Second Reich, and then the Third Reich) in Germany, and the education it provided with (as Friedrich Nietzsche and Albert Einstein pointed out, deplored and condemned stridently, among others). German genetics did not change that much. Yet, present day German souls are completely different. They have become French souls, so to speak. They are sister souls for Republican France against old German fascism. German Free Will has become gentle. This shows that Free Will depends crucially of the universe it evolves in.